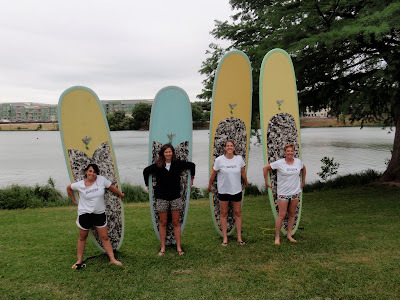 Kristy's Awesome Surf Adventures: Congrats to Team Siren for Charging It at the 2010 SUP JAM Austin! Congrats to Team Siren for Charging It at the 2010 SUP JAM Austin! 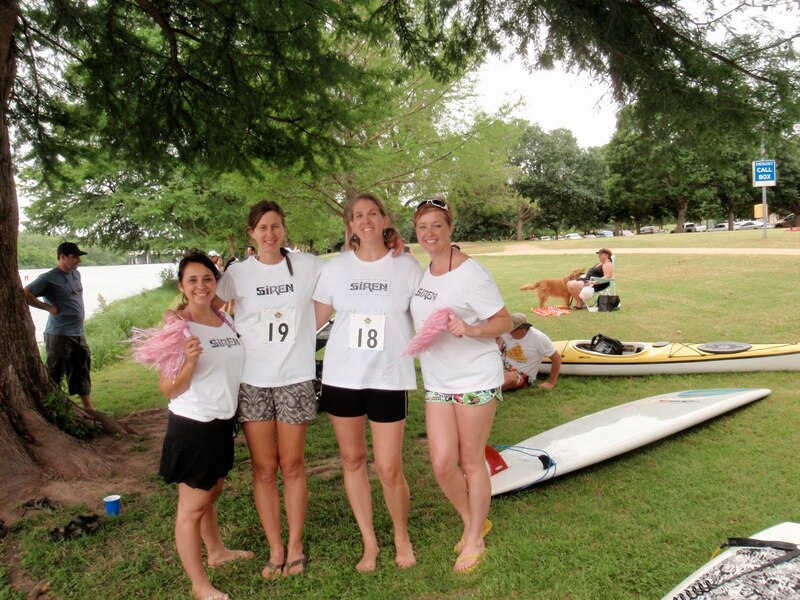 I have to throw a shout out to the ladies of Team Siren for participating in the 1st annual SUP Jam Austin! The team was comprised of Linda McCoy Schriever, Carie Leighton Hendrick, Angela Kraybill and Camille Hudson. This was the first big SUP race to hit Austin and it was also the first SUP race these ladies had participated in, and they did us proud! 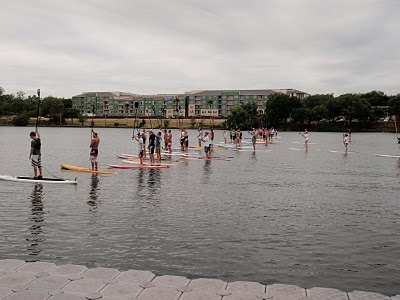 Word is that a GREAT time was had by all and the SUP Jam Austin put on an awesome race. Our top finishers were Linda, 4th place in the 1.5 mile race and Camille, 10th place in the 1.5 mile race. Great job Team Siren you guys ROCK!